You may be well-aware of what a water softener is, and you may be wall-aware of what a water softener does. But do you know how a water softener works? 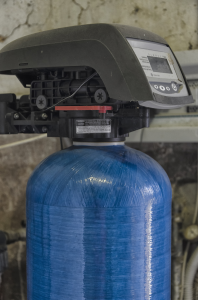 While you don’t necessarily have to understand the functionality and processes of a water softener in order to use one, a little extra knowledge certainly won’t hurt. Below, we will discuss the method behind the operation of the modern water softener in Kildeer, Illinois. In order to understand how a water softener operates, you should first know the difference between hard water and soft water. After all, a water softener is responsible for taking hard water and making it soft. Hard water is water that contains primarily two minerals: calcium and magnesium. These minerals are pumped with the water when it’s brought up from the ground. Their existence within water can cause a number of problems, including mineral buildup on appliances, and within water pipes. On the other hand, soft water is water that is void of calcium and magnesium. Not only is it less destructive than hard water, it cleans better, and is consumed more easily as well. The driving force behind the water softener is the concept of ion exchange. Ion exchange works within a water softener by trading positively charged sodium for positively charged calcium and magnesium. A positively charged resin containing sodium ions is placed inside the water softener. As hard water travels through the softener, the sodium ions on the resin exchange with the calcium and magnesium ions within the water. After the resin has attracted the calcium and magnesium ions, the water softener will send through the conditioned water. This water will contain trace amounts of sodium, but will contain no magnesium or calcium. In order for a water softener to function consistently, it will require a bit of maintenance. Namely, it will necessitate that you fill it with a special form of softener salt. This salt will essentially replenish the resin within the softener, supplying it with sodium ions so that it can engage in further ion exchange. If you don’t add salt to your water softener on a regular basis, the resin within it will soon run out of sodium and will no longer be able to attract calcium or magnesium ions. In essence, your water softener will fail to soften water. How Important is It to Have a Water Softener in Kildeer? Here in Kildeer, hard water is a bit of a problem. This area of the country has some of the hardest water in all of the United States. Because of this, its negative effects tend to magnify themselves. Not only do residents find it difficult to clean with hard water (it produces a lack of suds), they find that hard water has a destructive effect on their water appliances. Water pipes, sinks, faucets, dishwashers, and refrigerators all suffer reduced lifespan because of hard water—not to mention unsightly stains. If you want to avoid these ill-effects, it’s wise that you utilize a water softener. If you don’t mind dealing with them, you will not need a water softener. Interested in Installing a Water Softener in Kildeer, Illinois? Now that you’ve learned how a water softener works, perhaps you are interested in installing one in your home? If so, we here at Johnson Water Conditioning can help you. We supply, install, repair, and maintain water softeners of all different sizes. Whether you’re looking to soften the water in your home, or in your commercial building, we can accommodate you.